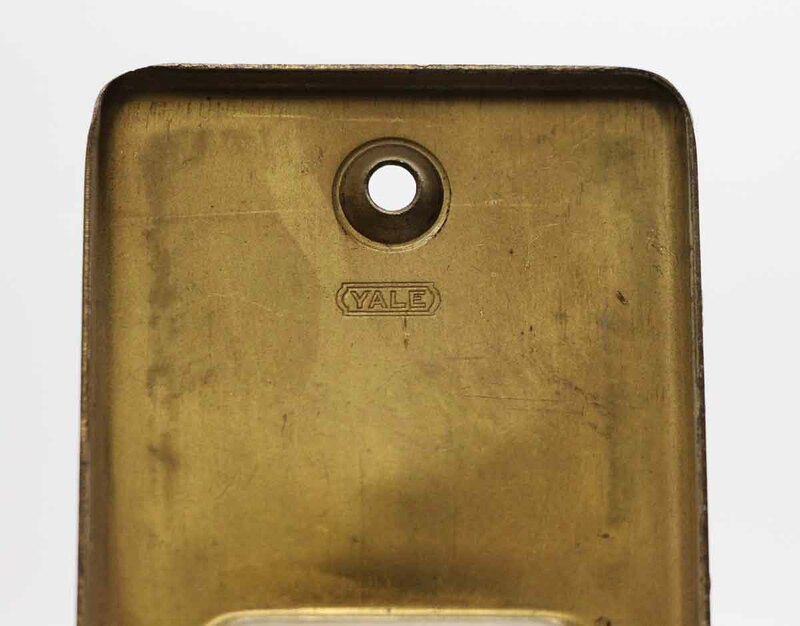 Recessed brass pocket door plate with a keyhole and dark patina. Yale Signed. One available.